Submitted by Jason Horton on Apr. 18, 2018. Originally published on Jan. 24, 2017 and last updated by Denise Azucena & Jason Horton on Apr. 19, 2018. This guide is intended for adults, including both musicians and non-musicians, who want to buy a drum set for children around 10 years of age or younger. If the intended recipient is much older than that, or if they're tall for their age, then please refer to our guide for full-sized beginner drum sets. What age groups are Junior drum sets for? Does it have everything kids need? There's no exact answer here because it depends partly on their height but in general these are best suited for children aged from 3 to 10. For children who are taller than average, or older than this range, then we recommend getting a full-sized kit - see our guide to The Best Beginner Drum Sets. Some junior drum sets don't come with hi-hats. If you want your kid's drum set to help them to learn to play properly then it will need to have hi-hats, at least 1 crash cymbal, at least 1 tom, a snare, a bass/kick drum and a throne/stool to sit on. We recommend getting a 5-Piece kit if possible because if the child really gets into drumming then this will give them a better grounding in drumming techniques. All of the drum sets we've recommended below are full kits including cymbals, hi-hats and all necessary hardware. Only the drums are counted as the pieces - cymbals and other items are not included in the count. So when a drum set has a snare, kick drum and 3 toms, this adds up to 5 pieces. Usually these are included when you buy a junior drum set but not always and it's frustrating to have your kit delivered without sticks. I recommend buying a couple of sets of different weights: Vic Firth 5A at Amazon - Vic Firth 5B at Amazon. In this guide we state the diameter first, then the depth. So a 10" x 5" snare is 10" in diameter and 5" deep. Some manufacturers and retailers state the measurements the other way around. Drum Throne vs Drum Stool - both these terms mean the same thing, it's the seat you sit on to play drums..
Drummer's Key - These are used to loosen and tighten the lugs on your drum heads in order to tension and tune them to the pitch you want. 90 out of 100. Incorporating 325+ ratings and reviews. Many people said in their customer reviews that it was fairly easy to set up when it arrived, however some said the exact opposite. The number of people who found assembly relatively easy well outnumbered those who had trouble with it. The main complaints were about the quality of the cymbals. There were a few complaints about the difficulty in setting up the kit, some suggested there should be better instructions included and some said parts should be labeled. There were several customers who said that this kit is good for 8 year olds or younger, but probably too small for older children. 88 out of 100. Incorporating 100+ ratings and reviews. This is a simple budget 3-piece drum set which has received many positive reviews from people who bought it for children 5 years old and under. "A good starter kit for toddlers" was a common sentiment in customer reviews. Most people were happy with the sound of the bass drum and snare. Although it only has single braced hardware most people reported that it was sturdy enough for children. Many people who know a bit about drum sets said the cymbals were rather weak sounding but that's a common complaint with junior kits. One reviewer actually counted this as a positive because the cymbals weren't very loud. Most parents and grandparents reported that their little drummers were very pleased with their new drum kit when they got this. Ludwig has partnered with renowned drummer Amir "Questlove" Thomson to create the Pocket Kit made for children ages 4-10 years old. Aside from the hardware, it also includes all access to a series of web-based lessons to help with key setup, adjustment and playing technique. There were some reviewers that mentioned its factory heads were not as good sounding as they would have liked, and replaced them with new drum heads. Some also were disappointed that it did not come with an instructional manual, although the videos on the manufacturer's website were informative. This is a great beginner's drum kit with an exceptional value for its price. 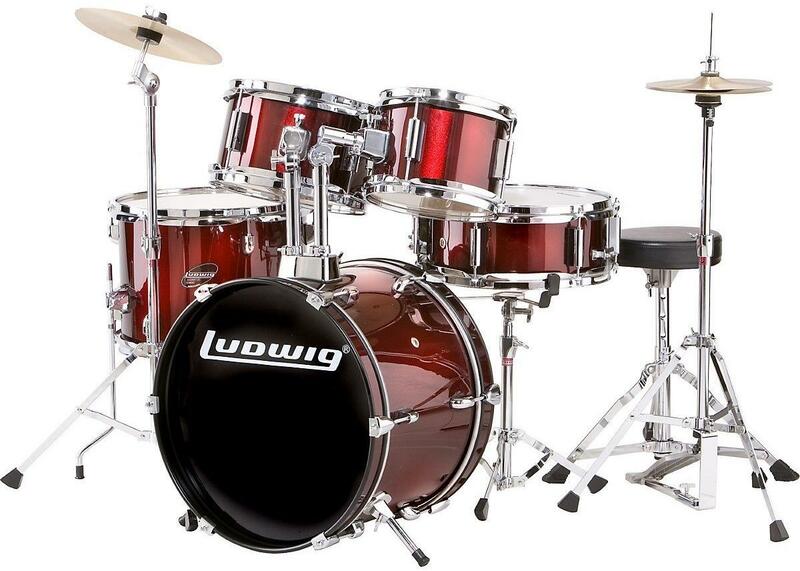 Ludwig is the biggest brand included in this guide and their full-sized professional kits are endorsed by a large number of successful and well known drummers. Although the lower-priced Gammon Percussion Y1049 above got a slightly higher Gearank score, this more expensive drum set comes with higher quality hardware. The reason this kit received slightly lower ratings than the previously mentioned 5-piece kit is because Ludwig appears to have been held to a much higher standard than lesser-known brands. NB: Drum Sticks are not officially listed as part of the package and although some people say they did get sticks with their order it would be wise to also buy a set of sticks - you can order these from Amazon.com. The Hi-Hat stand is double braced. The other hardware is single braced. The shells are multi-ply but the number of plys is not specified. The overall quality was cited positively in many customer reviews and there were even positive comments about the cymbals - sometimes with a disclaimer that they're not professional cymbals but rather good for the price.. The sound of the drums were also cited quite positively for a junior kit. There were also many experienced drummers and musicians who gave this kit positive reviews. One of the most common complaints was that assembly instructions were not included with delivery, although this was not the case for everyone - you can download detailed assembly instructions from Ludwig. There were some experienced drummers who didn't like the drum heads or cymbals and said they would or have replaced them - these people seemed to be measuring this junior kit against the standards they're used to from full sized Ludwig kits. If the child you're buying a drum set for already has experience and has displayed an interest in continuing to improve their skills, then it's probably worth the additional investment in buying this kit. 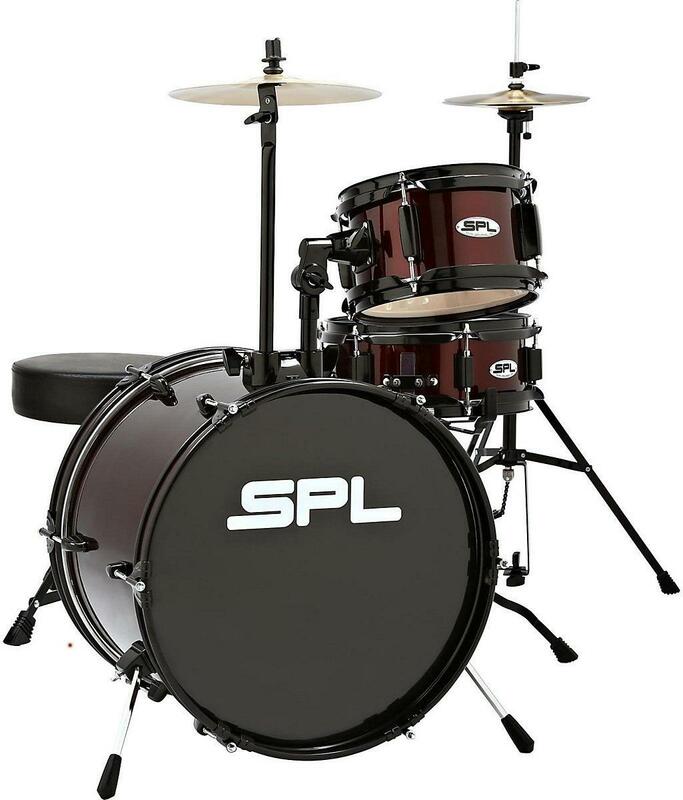 We looked at all the junior 3-piece and above drum sets listed for sale at the major online music equipment retailers in the USA and created a short-list of 13 kits for detailed analysis. We gathered information from both customer and expert reviews which we have summarized in the descriptions above. We also fed that data into the Gearank algorithm to produce the Gearank customer satisfaction scores out of 100 that you see above - over 2,400 individual rating sources were examined during this process. We then selected the highest rated models to recommend. For more information about our methodology see How Gearank Works. 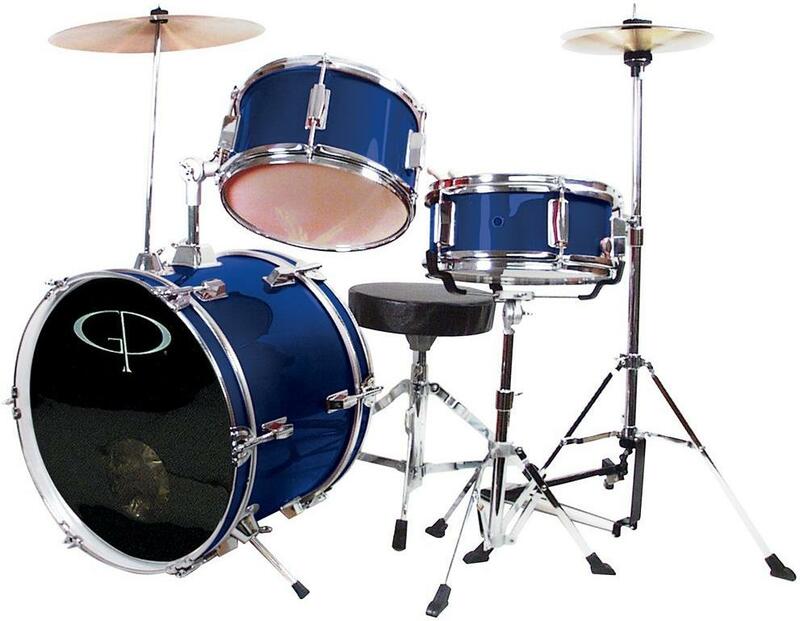 Need Help Selecting a Child's Drum Set? If you have any questions about junior drum sets just ask them in the comments section below and a member of the Gearank team or our musician audience will answer them for you. Submitted by Norris (not verified) on Nov. 15, 2018. What is the best drum for a 6 year old? Submitted by Jason Horton on Nov. 15, 2018. All of the options listed above are suitable, however I wouldn't get the more expensive ones unless you know they are committed to playing long term. Submitted by Wendy (not verified) on Dec. 2, 2018. Submitted by Jason Horton on Dec. 2, 2018. Your son is already getting too tall for one of these small drum kits, so he would be much better served with a full adult sized kit which he won't outgrow. 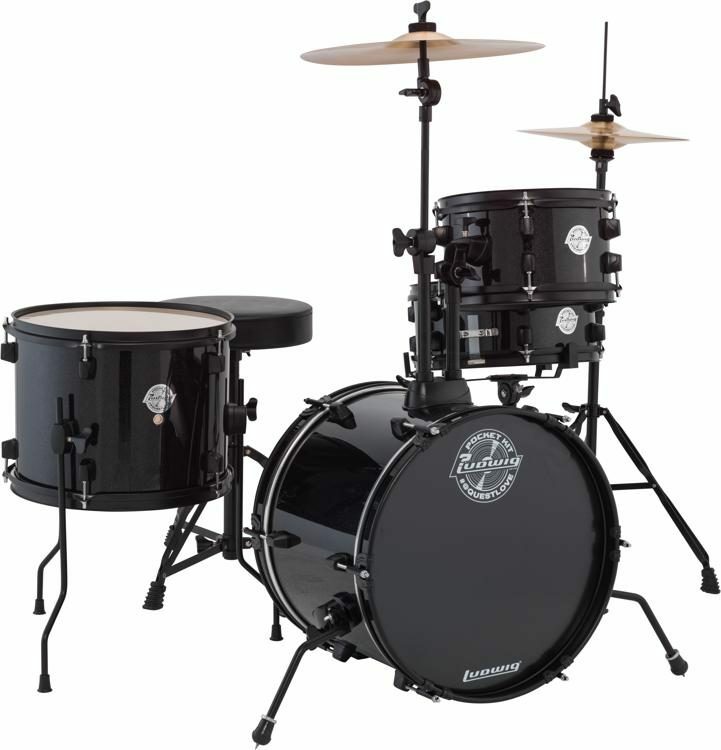 Take a look at our guide to Beginner Drum Sets. Unless you're absolutely certain he's going to stick with playing drums, I'd go for one of the less expensive options in that guide.